Cute black sports bra. 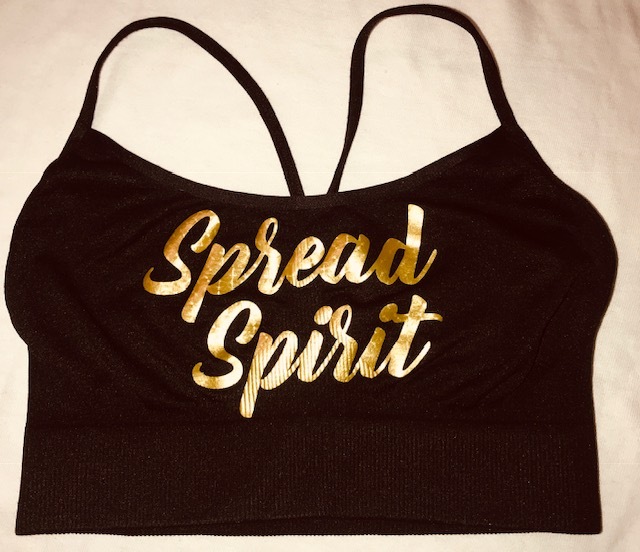 Perfect for practice or to wear under tanks, crops, etc. One size fits all youth and one size fits all adults.